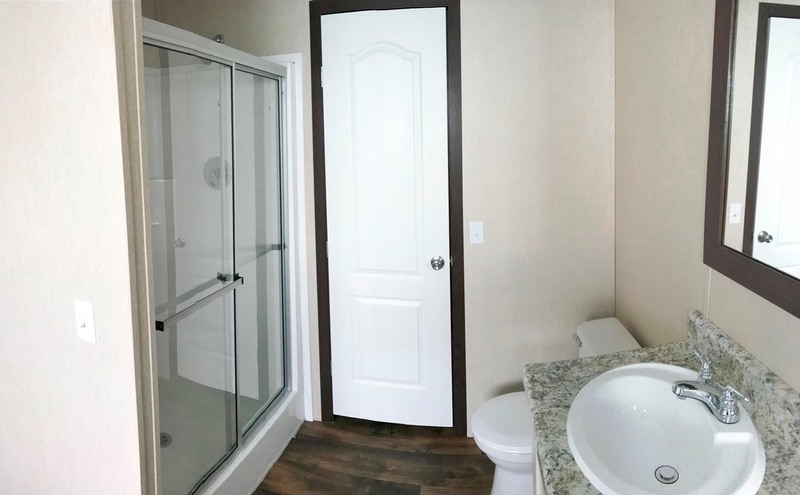 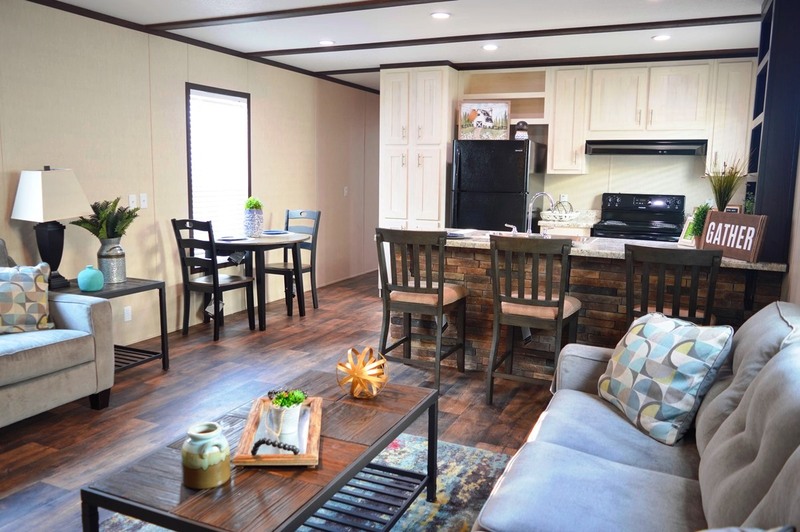 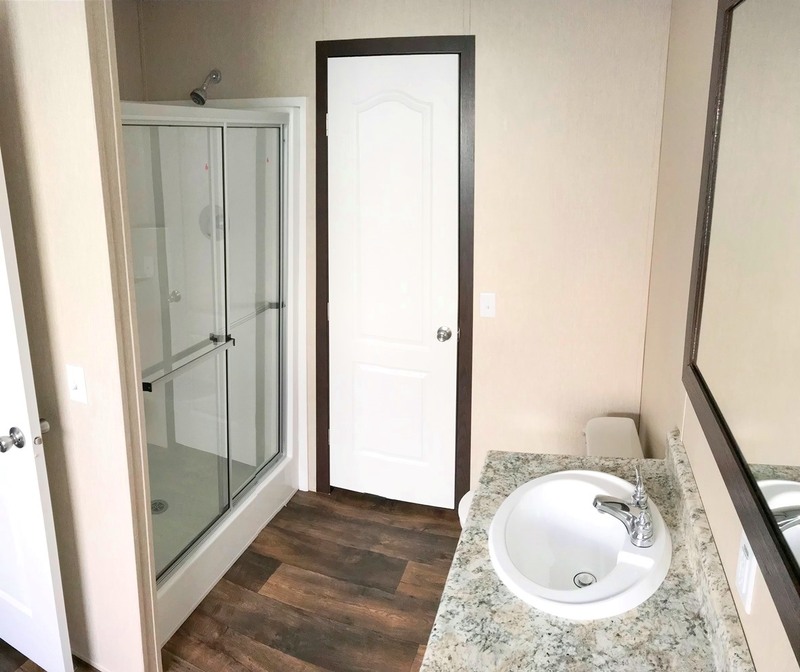 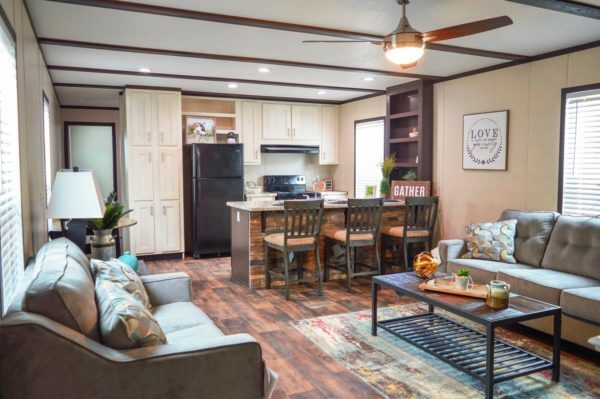 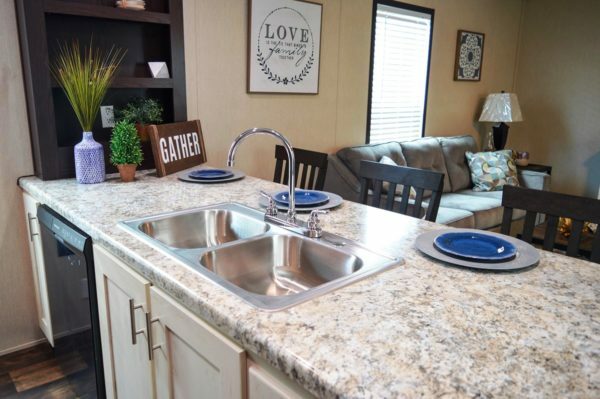 The Hodges 3-Bedroom model offers the same total amount of square footage as the Hodges 2-Bedroom model, but makes different use of the space to offer that additional third bedroom. The living room and kitchen share an open concept, with a counter height sink bar separating the two. 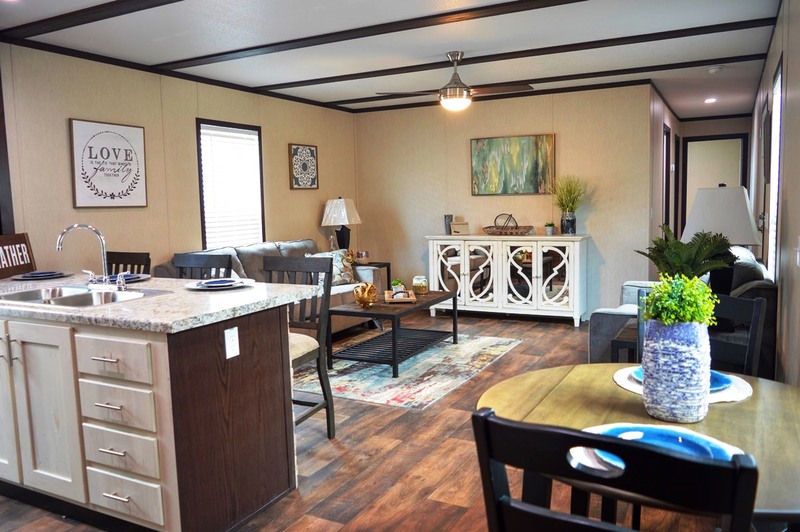 Four large thermal pane windows let natural light filter in, working with the LED Ceiling Fan to keep things bright. 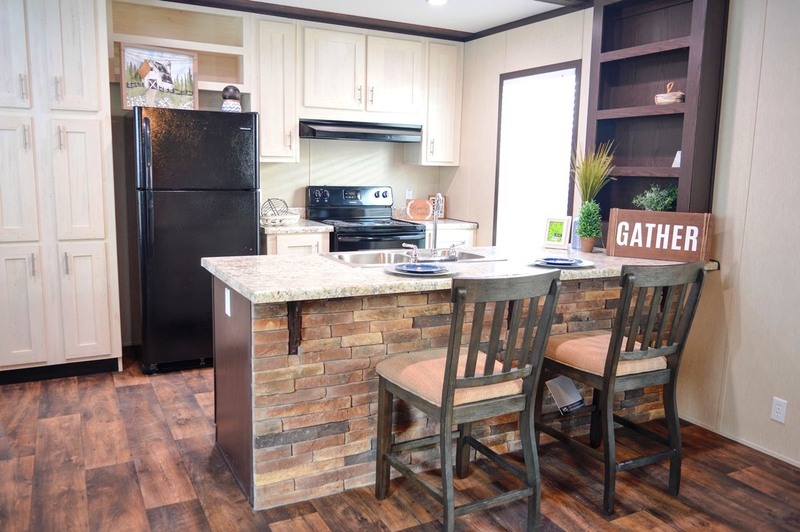 The kitchen has a built-in pantry along with additional cabinetry, all of it with 6-inch cabinet pulls. The master suite is a combination of a large bedroom and relaxing bathroom. 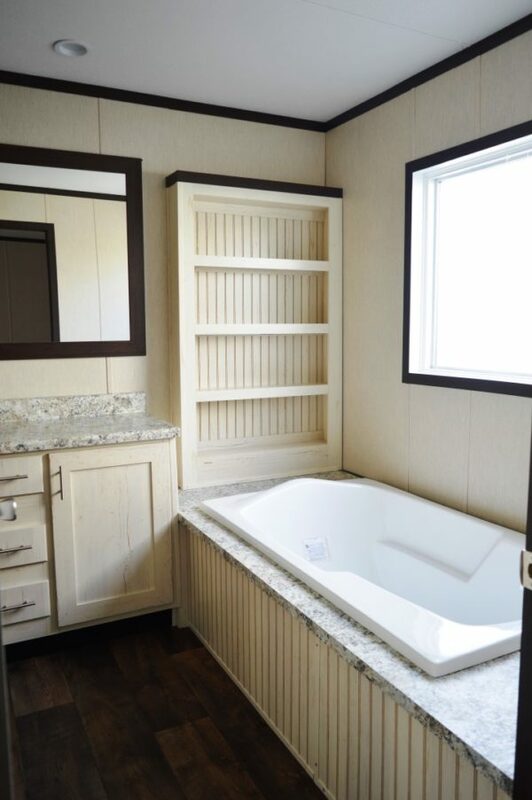 The master bath has a walk-in shower, single vanity countertop, and large tub. 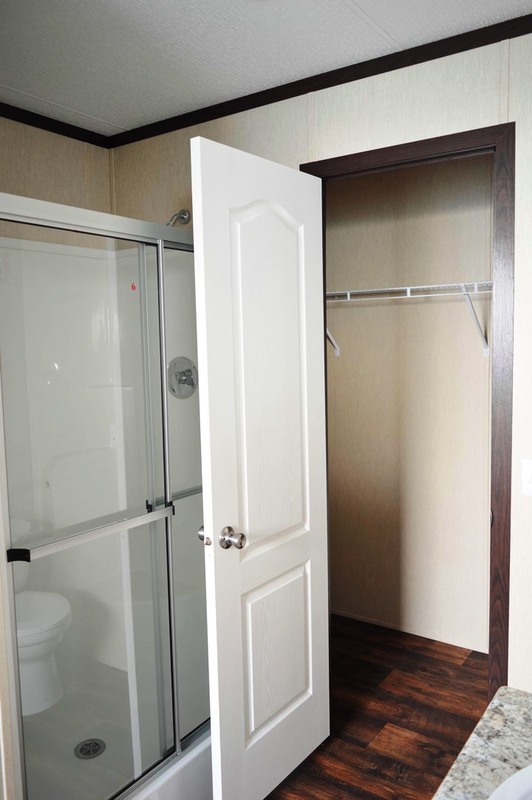 There is also a walk-in closet. 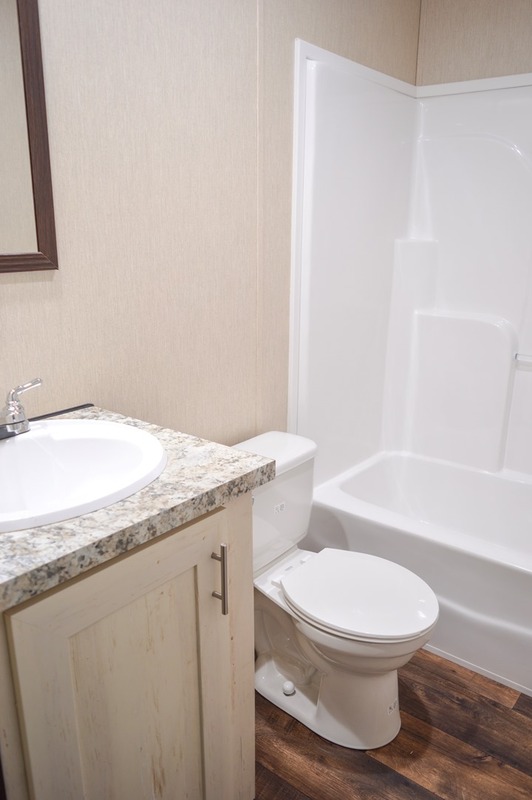 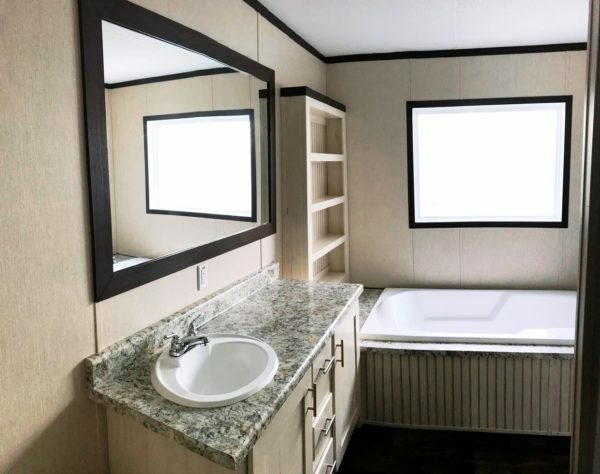 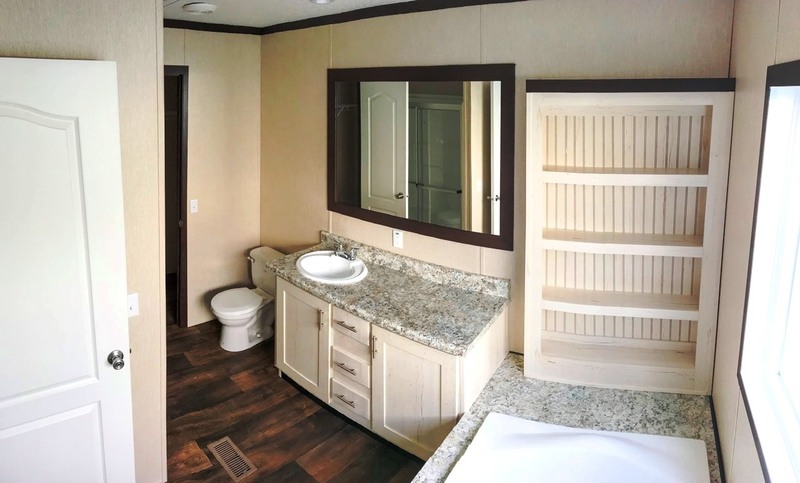 The remaining two bedrooms share a hallway bathroom, also with single vanity sink, toilet, and full tub/shower. 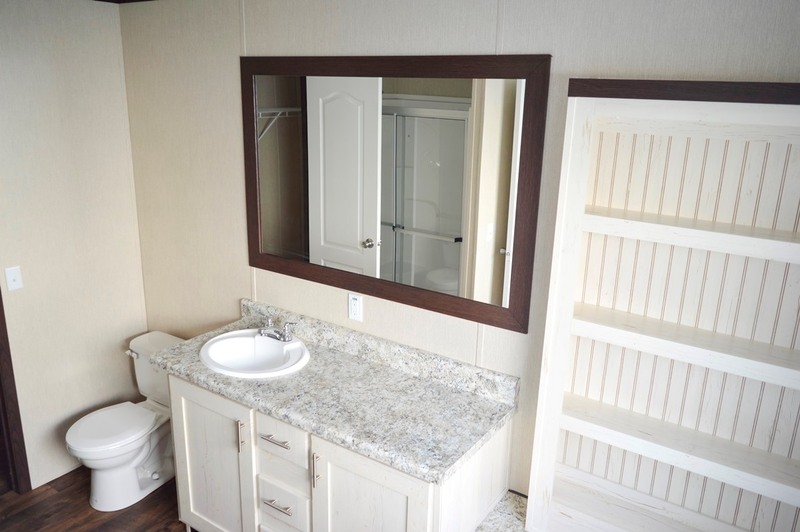 There is a large utility room with washer/dryer hookup between the kitchen and master suite.